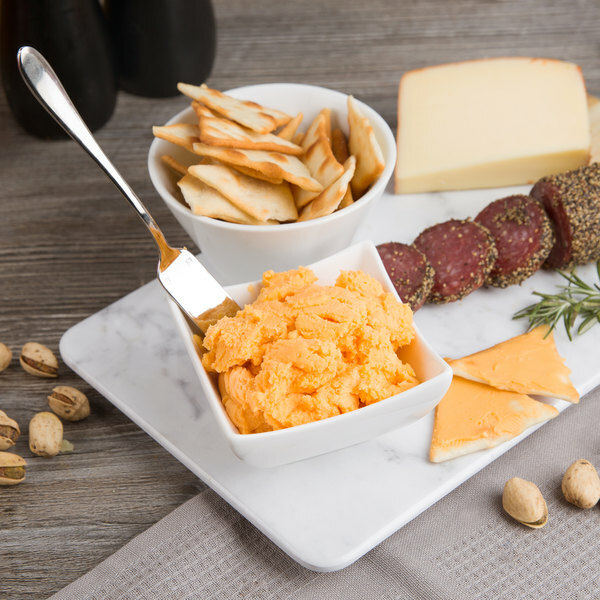 Take your cheese and cracker spread to the next level with this Kaukauna sharp yellow cheddar cheese! This cheese features a sharp, aged cheddar flavor combined with a visually appealing bright yellow-orange color made from annatto, a natural-plant based coloring that does not affect its fresh taste. Ideal for any entertaining occasion, scoop this fine quality cheese into dishes and present as a centerpiece on your serving tray or charcuterie board with artisan crackers, bologna or salami, and nuts at your catering or banquet event. Also great for serving at wine tastings, this cheese pairs well with pinot noir and cabernet sauvignon. With its consistent, velvety texture, this cold pack cheese spread provides easy spreadibility over a variety of foods. Its plastic container has a resealable plastic lid to keep it fresh in refrigerated storage. Plus, the bulk 10 lb. container ensures you will be in good supply of this genuine Wisconsin spreadable cheese for your high-volume events! In 1918 Hubert Fassbender formed his own dairy distributing company in Kaukauna, Wisconsin, which later became Kaukauna Cheese. 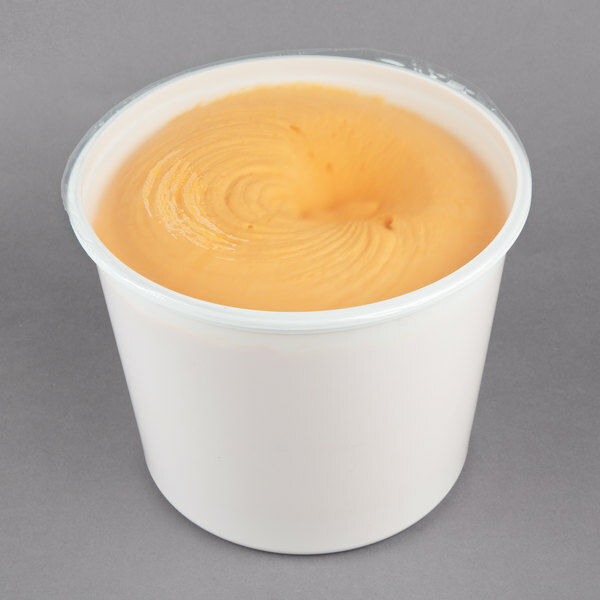 After years of experimenting, Fassbender perfected a cold pack method of cheese production that allowed cheese to stay spreadable at room temperature without compromising its immense flavor. Throughout the years, Kaukauna spreadable cheeses has won several awards for its innovation and high quality taste. 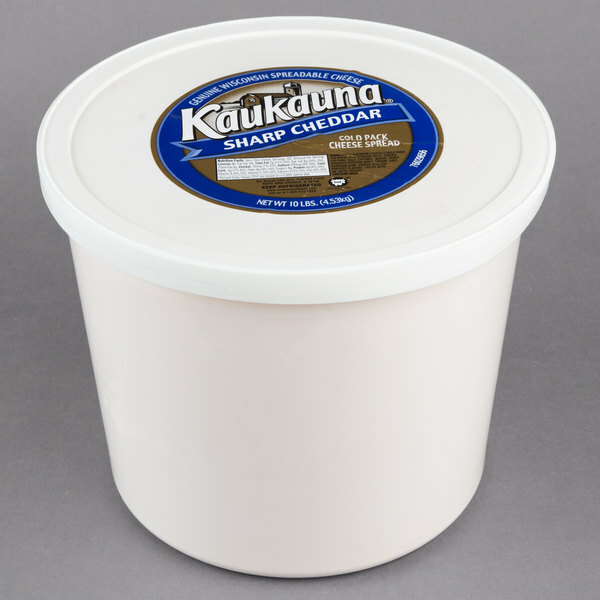 Supply your establishment with the convenient and great taste of Kaukauna spreadable cheese, America's #1 spreadable cheese.